The countdown to Christmas has officially begun! I am in the midst of not only doing some end of the year cleaning, clearing my home of unworn clothes, unused dishes and anything else taking up space long past its expiration date. While at the same time I am introducing fresh, new items into my life. I am zeroing in on an alternative Christmas tree, see here, here and here as I prepare to decorate my own home for the holidays this week. With that, while perusing Amazon for Christmas gifts for the fam, I had to see what kind of gifts Amazon had for the cannabis lover and they had much, much more than what I was expecting! 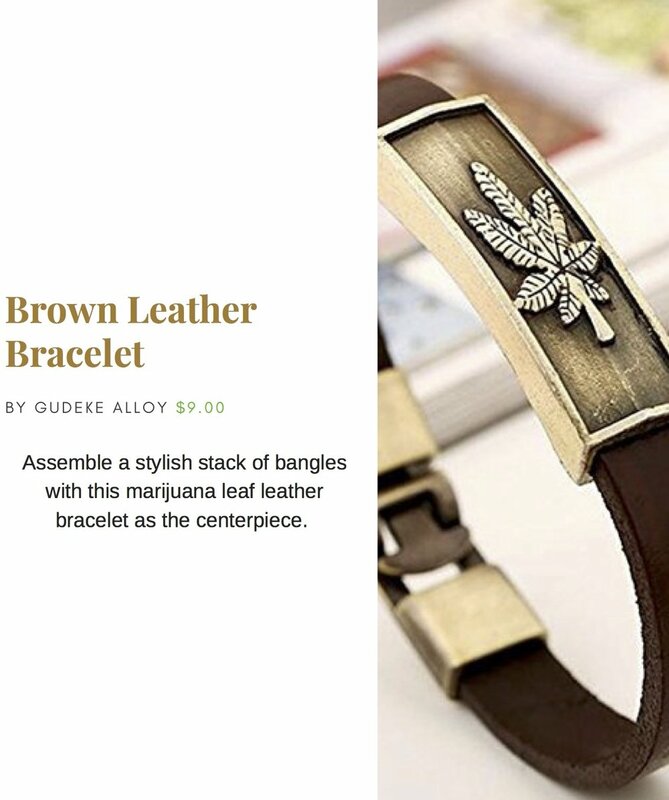 I've narrowed their selection of cannabis gifts down to 5 - this curated selection has jewelry and household goods to gift the ones you love! Stay lifted! And if you missed my first cannabis gift guide, check it out here!